AND PART OF REFORM MOVEMENT BUNDLE. 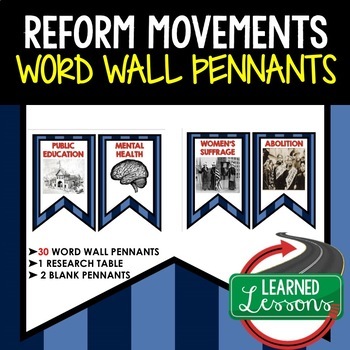 This is a Reform Movements Word Wall Set that has 30 words included. Buy now and save $$$. 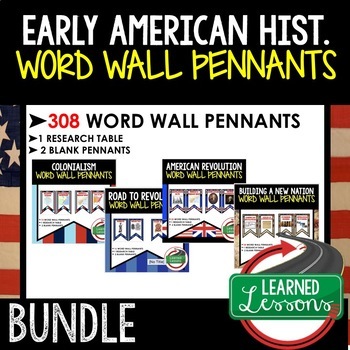 → Includes 2 to a page banner pennant word wall. → Print two or four to a page, cut, and decorate your room! → 2 blanksfor each unit have been included so you can decorate and label your board with the same background theme. These will make great year long classroom decorations for ALL grade levels teaching Early American History. Remember to give feedback and earn TPT $$$!